96 Makhato Bush Lodge - Bela-Bela Accommodation. 96 Makhato Bush Lodge is situated on Sondela Nature Reserve in Limpopo Province. 10 km from Bela- Bela and only one hours drive on the N1 going north, from Pretoria. 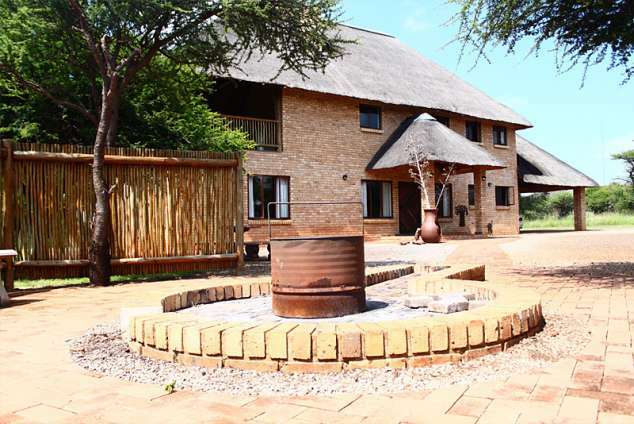 96 Makhato Bush Lodge is a beautiful, privately owned lodge ensuring a peaceful getaway from the hussle and bussle. Stunning views of the bush and animals like Wildebeest, Kudu, Giraffe and Zebra, just to name a few and Nyala who will eat out of your hands. Upstairs entertainment area with a huge wooden table and chairs over-looking the bush. Canvas sails that can be pulled down if weather comes up. 5199 page views since 13 Feb, 2017.